1. 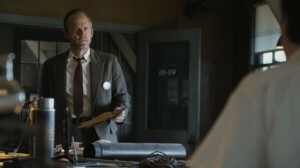 (1.12) “The Gun Model” – Dr. Reed Akley, lead scientist for the Thin Man bomb design of the Manhattan Project, becomes vulnerable when he tries to fix the design’s shortcomings. 2. 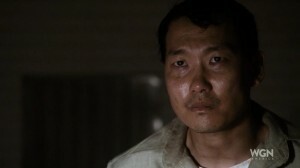 (1.02) “The Prisoner’s Dilemma” – When Dr. Frank Winter, lead scientist for the Manhattan Project’s implosion design, attempts to save his team from being shut down, his action leads to serious consequences for team member Dr. Sid Liao. 3. 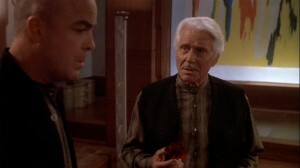 (1.05) “A New Approach to Nuclear Cosmology” – When Dr. Glenn Babbit’s past comes back to haunt him, Frank clashes with newcomer Dr. Charlie Isaacs to protect his mentor and team member. 4. (1.07) “A New World” – While visiting an off-site reactor in Tennessee, Charlie and Dr. Helen Prins race to prevent a meltdown. Meanwhile, Frank and his wife, Dr. Liza Winter; help the family of their maid Paloma. 5. (1.11) “Tangier” – The death of a German-born spy for the Allies in Germany re-invigorates the hunt for a spy on The Hill. Charlie and his wife, Abby Isaacs, make a sacrifice when the plan with Frank to develop the implosion project is threatened. Over twenty years ago, I came across a small period drama, while perusing my local video rental store. I never had any intention of watching this movie. In fact, I had never heard of it before . . . despite being a fan of the two leading stars. I read somewhere that “THE PUBLIC EYE” was inspired by the career of New York Daily News photographer Arthur “Weegee” Fellig. In fact, some of the photographs featured in the film had been taken by Fellig, himself. But the movie is not a biopic. Instead, “THE PUBLIC EYE” told the story of one Leon “Bernzy” Bernstein, a freelance crime and street photographer for the New York City tabloids, whose work is known for its realistic depiction of the city and all of its citizens. Due to his realistic photography and willingness to resort to any means to snap graphic shots of crime scenes, he is known as “the Great Berzini”. Sometime during 1942, America’s first year into World War II, Bernzy is summoned by a widowed Manhattan nightclub owner named Kay Levitz. One of local New York mobs is trying to muscle in on her business. Kay asks Bernzy to investigate an individual she considers troublesome. Generally unsuccessful with women, Bernzy agrees to help Kay, as he slowly begins to fall in love with her. Bernzy talks to a few of his contacts, including journalist Arthur Nabler, and tracks down Kay’s troublesome man. Only the latter had been murdered. Bernzy’s activities attract the attention of the New York police, the F.B.I. and two rival mob leaders. Through a connection to a local gangster named Sal, Bernzy discovers that Kay’s husband had got involved with a mob turf war over illegal gas rationing and the Federal government. “THE PUBLIC EYE” did not make much of an impact on the U.S. movie box office, when it hit the theaters during the fall of 1992. In fact, I do not believe that the studio that released it – Universal Studios – made any effort to publicize it. Worse, the movie eventually garnered mixed reviews. However, I had no idea of all of this until I saw the movie, years later. 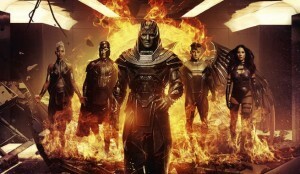 My first reaction to this lack of attention by Universal and the mixed reviews was surprised. My second reaction was . . . disappointment. Well, I was not that disappointed with the movie’s mixed reviews. After all, I believe in the old adage “to each his own”. But even to this day, I feel slightly disappointed that Universal Studios did very little to publicize this movie. Why? I thought “THE PUBLIC EYE” was a lot better than many assumed it to be – including the studio suits. Was there anything about “THE PUBLIC EYE” that I disliked? Or found hard to swallow? To be honest . . . no. Let me correct myself – very little. After all, the movie was perfect. A part of me wishes it could have been a little longer than its 99 minute running time. And if I must be honest again, the mystery surrounding the death of Kay Levitz’s tormentor did not last very long. Not much time had passed before the story had revealed the gas rationing scandal behind the tormentor’s murder . . . or the identity of the movie’s main antagonist. Personally, I saw no reason why screenwriter-director Howard Franklin tried to present this plot as some kind of mystery. And yet . . . I really enjoyed “THE PUBLIC EYE”. In fact, it is a personal favorite of mine. There seemed to be so much that I found enjoyable in this movie. Although Franklin’s plot did not prove to be much of a mystery, I must admit that I enjoyed how the corruption tale provided a strong link to civilian life during America’s early period in World War II. The plot also seemed to provide a strong historical background of life during this time in New York City’s history. 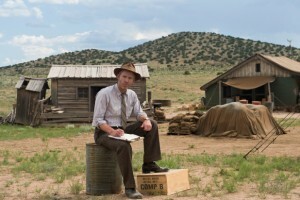 I enjoyed how Franklin’s screenplay made such strong connections between the city’s major criminals, the Federal government and the goods rationing that dominated the lives of American citizens during the war. But what I really enjoyed about this movie is its final action sequence that featured a gangland mass murder inside a local Italian restaurant photographed by the main protagonist. Franklin did a superb job in capturing this sequence on film that it still gives me goosebumps whenever I watch it. Some film critic – I forgot his name – once complained that the “noir” atmosphere for “THE PUBLIC EYE” seemed superficial and not particularly engaging. Personally, I loved the movie’s atmosphere. Not because I believe that it permeated with a sense of a “noir” film. I loved it because I thought it permeated with a sense of what life was for the many citizens of New York City during those early years of the war. The movie portrayed how different social groups based on class and ethnic differences are forced to live together in one metropolis during a difficult time in American history. Bernzy’s own background as a Jewish immigrant from Russia and his profession were used against him on several occasions. This especially seemed to be the case with the elitist book publisher who seemed disturbed by the former’s name and the realistic images he took; and Danny, the Irish-born doorman and snob who not only worked at Kay’s nightclub, but also regarded Bernzy as beneath him. Even Kay’s own background as a showgirl led people to regard her as some gold digger who had achieved some social status via marriage to a nightclub owner. This explained how two such diverse people managed to click on an emotional level throughout most of the movie. Visually, “THE PUBLIC EYE” seemed like a treat. Watching it made me feel as if I had landed right in the middle of Manhattan, circa 1942, thanks to art directors Bo Johnson and Dina Lipton, set decorator Jan K. Bergstrom, and costume designer Jane Robinson, who had created some very interesting costumes for Barbara Hershey. I was especially impressed by the work of production designer, Marcia Hinds, who I believe more than anyone, contributed to the movie’s early 1940s setting and atmosphere. I had checked Howard Franklin’s filmography and discovered that he had only directed three movies so far. Considering the first-rate performances featured in this film, it seemed a miracle that Franklin’s lack of real experience did not hamper them. 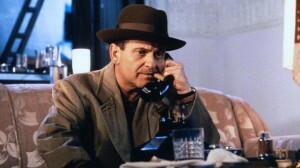 I do not know which role I would consider to be my favorite performed by Joe Pesci. But I do know that Leon “Bernzy” Bernstein is one of my top three favorite characters he has ever portrayed. I thought Pesci did a superb job in portraying a character who is not only driven by his ambition for his profession, but also racked with loneliness, due to how others tend to perceive him. Barbara Hershey gave a very subtle and skillfully ambiguous performance as the widowed nightclub owner, Kay Levitz. Hershey’s Kay came off as a warm and compassionate woman who understood Bernzy, due to her own struggles over how others perceive her and at the same time, a reluctantly pragmatic woman who is forced, at times, to sacrifice her self-esteem for the sake of survival. 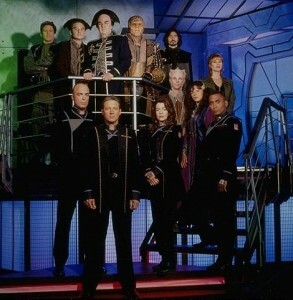 The movie also benefited from a collection of first-rate performance from major supporting cast members. One of those performances came from Jared Harris, who did an excellent job in conveying the snobbish aspect of his character, the Irish-born Danny, who worked at Kay’s nightclub as a doorman. Stanley Tucci gave a terrific and subtle performance as a low-level mobster named Sal, who provides the final link to Bernzy’s investigation into the gas ration scandal. Jerry Adler, whom I recall from the CBS series, “THE GOOD WIFE”, gave an emotional and complex performance as one of Bernzy’s few friends, a journalist named Arthur Nabler. Both Dominic Chianese and Richard Foronjy were excellent as the two mob warring bosses, Spoleto and Frank Farinelli. The movie also featured solid performances from the likes of Richard Riehle, Bob Gunton, Tim Gamble, Patricia Healy and Del Close. I realize that many critics do not have a high opinion of “THE PUBLIC EYE”. Why? Well, I never did bother to learn the reason behind their attitude. 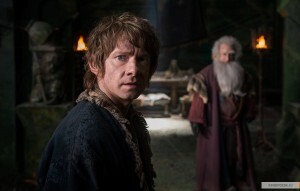 Perhaps I never really bothered is because I enjoyed the movie so much. In fact, I fell in love with it when I first saw it. And my feelings for “THE PUBLIC EYE” has not changed over the years, thanks to Howard Franklin’s direction and script, along with a first-rate cast led by Joe Pesci and Barbara Hershey. 1. 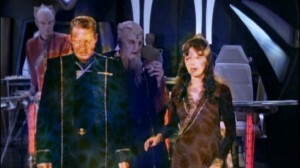 (4.15) “No Surrender, No Retreat” – Provoked by EarthForce President Clark’s latest actions, former Captain John J. Sheridan leads the White Star fleet against EarthForce to liberate Proxima 3. 2. (4.17) “The Face of the Enemy” – Thanks to his new employer, CEO William Edgars, former Security Chief Michael Garibaldi is faced with the decision of whether or not to betray Sheridan to EarthForce. 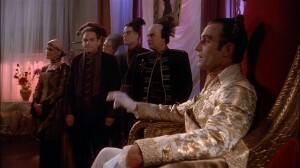 Babylon 5’s Dr. Stephen Franklin and telepath Lyta Alexander arrive on Mars with a cargo of frozen telepaths for the final battles in the Earth Civil War. 3. 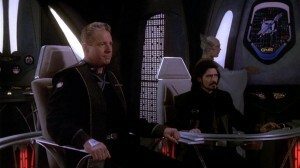 (4.05) “The Long Night” – Sheridan make plans for the final strike against the Shadows and the Vorlons during the Shadow War. Meanwhile, Centauri Prime Ambassador Londo Mollari and his aide, Vir Cotto, make the final plans for assassinating Emperor Cartagia. 4. 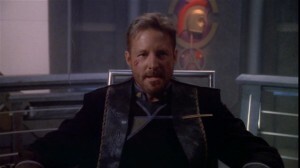 (4.20) “Endgame” – Following his rescue by Garibaldi, Franklin and Lyta; Sheridan leads the final assault against President Clark’s forces with the help of his rescuers and the Mars Resistance. 5. 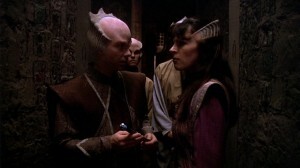 (4.14) “Moments of Transition” – During the last days of the Minbari Civil War, the Warrior Caste demands the surrender of Ambassador Delenn and the Religious Caste. Meanwhille, Psi cop Alfred Bester makes an offer to an increasingly desperate Lyta and Sheridan receives horrible news from Ivanova. Honorable Mention: (4.06) “Into the Fire” – Sheridan stages a final showdown between the Vorlons and the Shadows at Coriana 6 toward the end of the Shadow War.